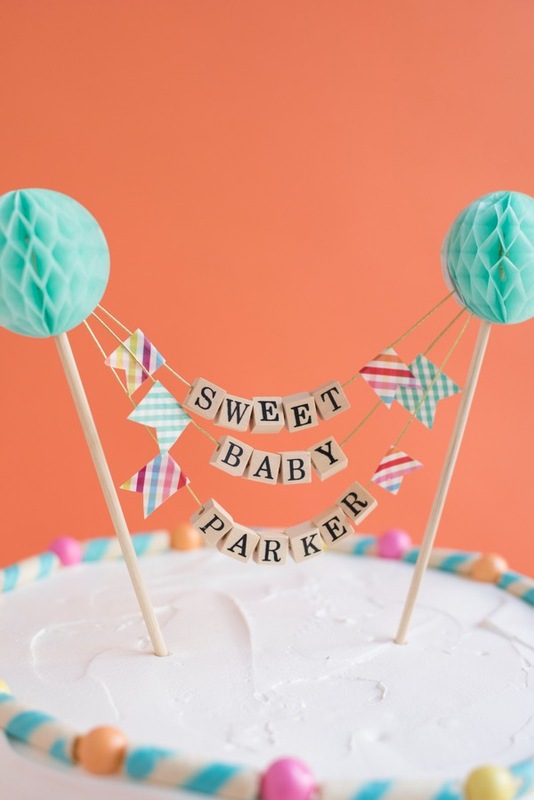 A personalized baby shower cake topper is such a sweet gesture, but it’s hard to personalize one when you don’t know baby’s name yet. 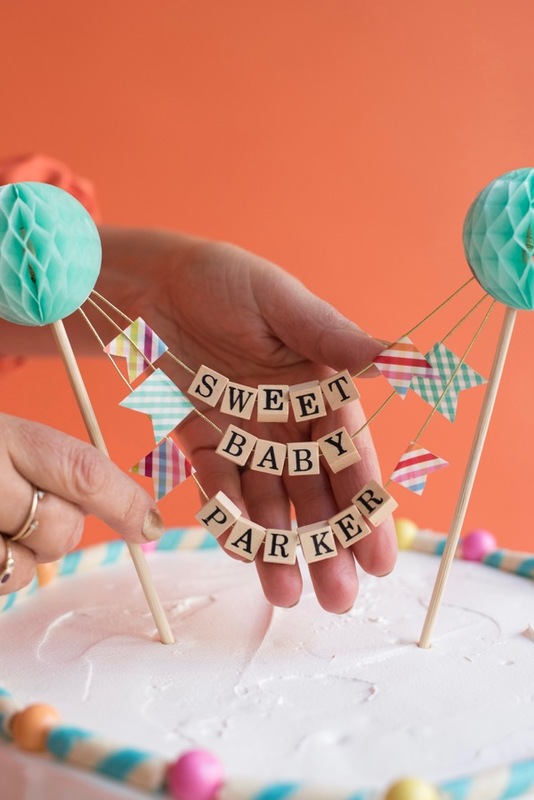 One solution is to use the baby’s future last name – easy to spell out with alphabet beads. I love the way striped washi tape looks like a sweet gingham pattern when it is folded over on itself. 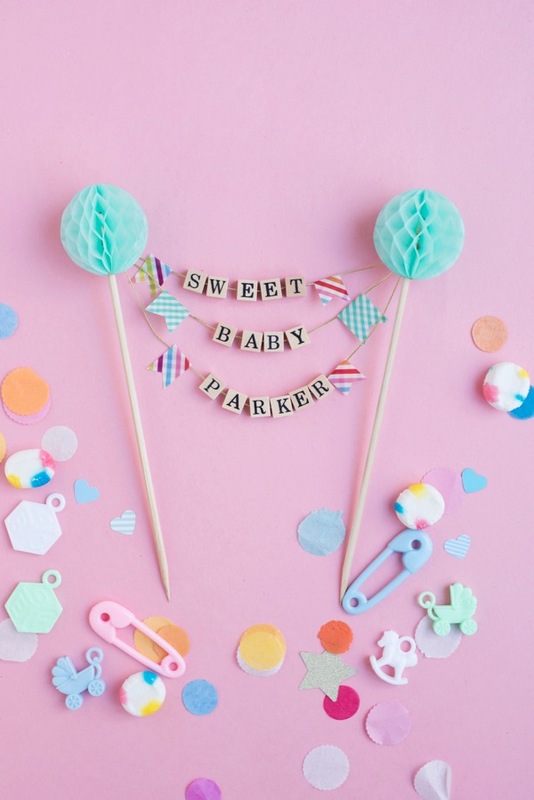 Of course, you could use any color combo of honeycomb ball and washi tapes you like for this project! 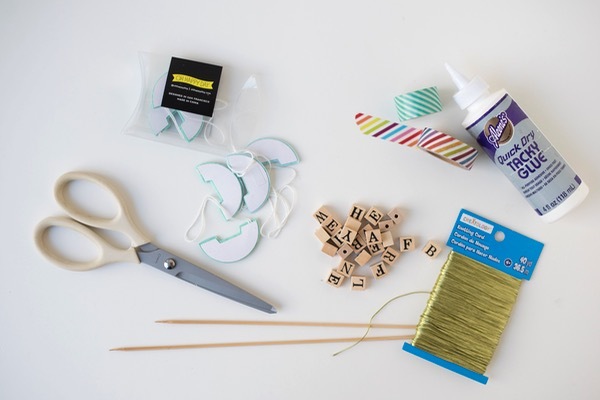 Materials needed: letter alphabet beads, gold cord, scissors, honeycomb balls, bamboo skewers, washi tape. Step 1: Lay out your letters and string them onto gold cord about 10 inches long, leaving extra length on each side. Step 2: Cut two bamboo skewers to about 9” high. 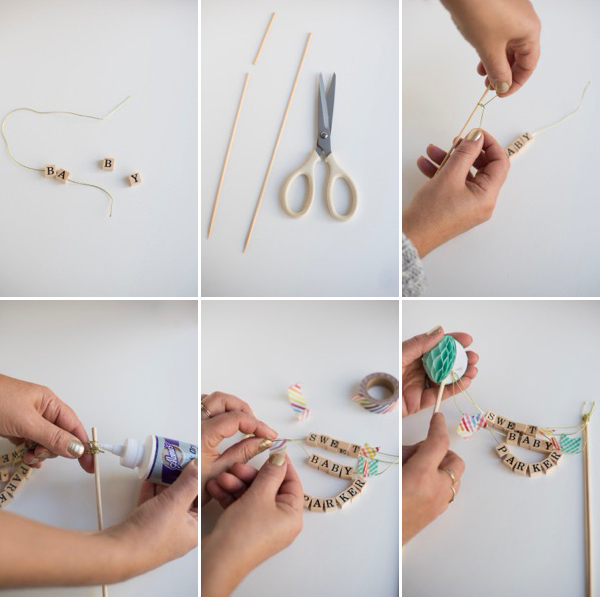 Step 3: Tie bead words onto bamboo skewers, layering top to bottom. Adjust as necessary to get the words to hang equidistant from each other. Step 4: Use a dab of craft glue to secure the cords to the bamboo skewers. Step 5: Fold a piece of washi tape over the cord, and cut notches into the bottom edges. Step 6: Place a honeycomb ball on top of each skewer (cut hanging cord off honeycomb ball first). 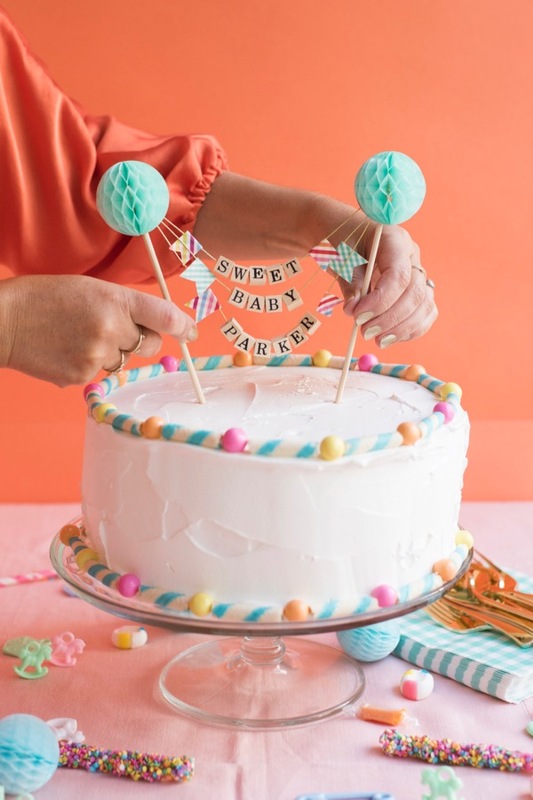 Step 7: Insert into cake and adjust the beads so they face forward, and are easily read. 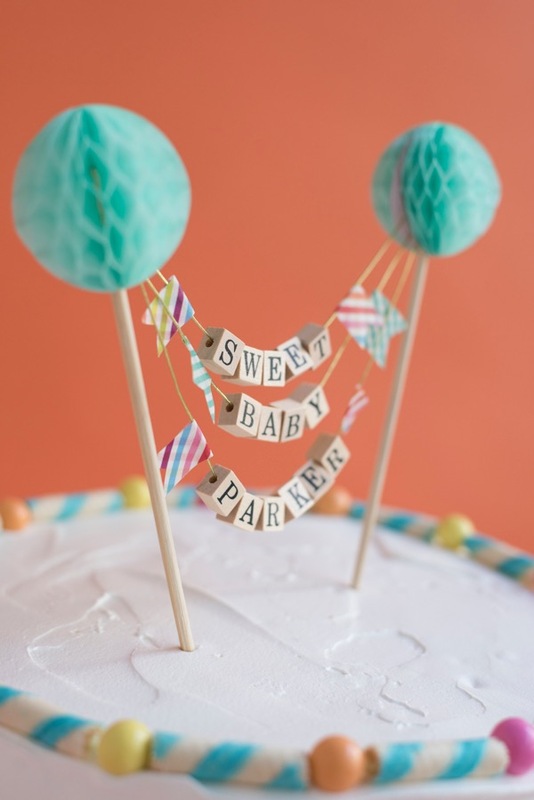 Such a cute idea for a baby shower!! yeah, its really super adorable!!!!!!! i just love how happy and creative these things are. 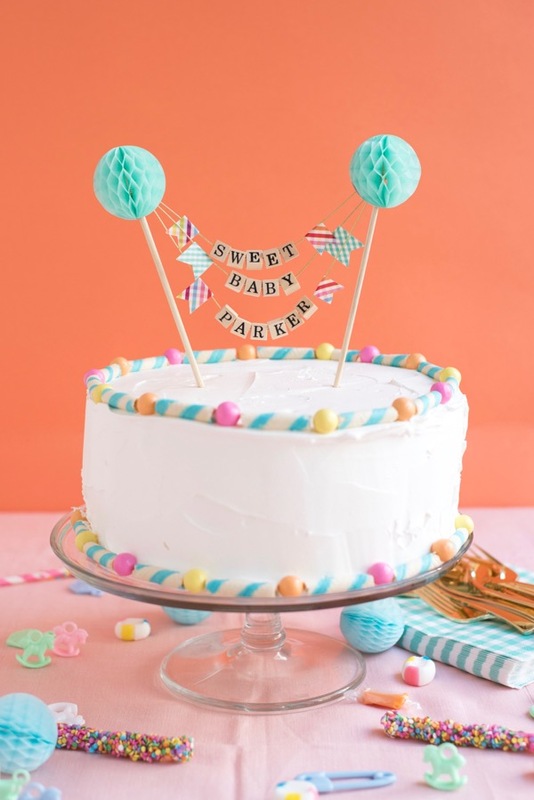 i also just wanted to let you know that i have a blog that i am just starting to write on so you could come and visit!! your such and inspiration to me! I am trying to become and eternal Optimist, so your happy ideas just makes me try harder. Adorable. 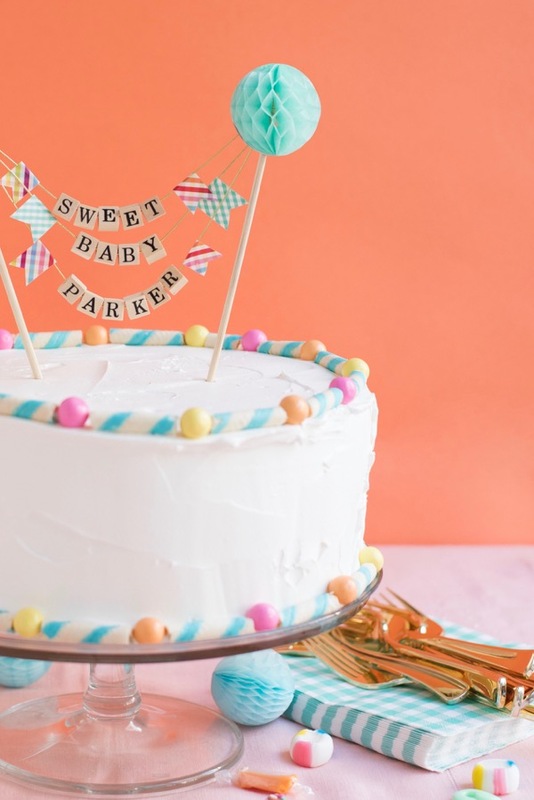 Isn’t washi tape the best for a thousand things? !